I thought this was really cool. I found it over at January 1, prowling along the ABC trail. 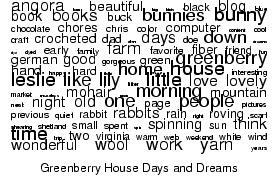 It's called a word cloud. When I'm in funds again I'm going to HAVE to buy this t-shirt!